Joseph Lavasse Valeus, 79 of Kissimmee, Florida went to be with the Lord on Friday, March 15, 2019. He was born in St. Marc, Haiti, May 12, 1940 the son of Desius and Celimene Zilneus Valeus. He moved to Kissimmee in 2005 from Uniondale, New York. He was a retired bookmaker and a member of St. Rose of Lima Catholic Church in Kissimmee, Florida. 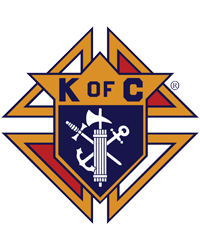 He was also a member of the Knights of Columbus. Joseph is survived by his sons: Robens Valeus of Arlington, West Virginia, Whitler Valeus of Amityville, New York, Evens Valeus of New Jersey; daughters: Wildy Valeus of Miami, Florida Charlemise Altidor of Acworth, Georgia, Alourde Altidor of Acworth, Georgia, Rose Mireux Monestine of Long Island, New York; brother: Lavasser Valeus of St. Marc, Haiti; sister: Lutamene Joseph of Boynton Beach, Florida and Rilia Valeus of Boynton Beach, Florida; 24 grandchildren and 6 great grandchildren. The family will receive friends on Friday, March 22, 2019 from 4:00 P.M. to 8:00 P.M. at Conrad & Thompson Funeral Home. A Mass of Christian Burial will be celebrated at 10:30 A.M. Saturday, March 23, 2019 at St. Rose of Lima Catholic Church, 3880 Pleasant Hill Road, Kissimmee, Florida 34746. Interment will follow at Rose Hill Cemetery, Kissimmee, Florida. The Valeus family is being cared for by: CONRAD & THOMPSON FUNERAL HOME, 511 Emmett Street, Kissimmee, Florida 34741; 407-847-3188.